There are plenty of holidays around the year that have us hitting the bar and partying all day long, but once March rolls around, everyone’s ready for St. Patrick’s Day! 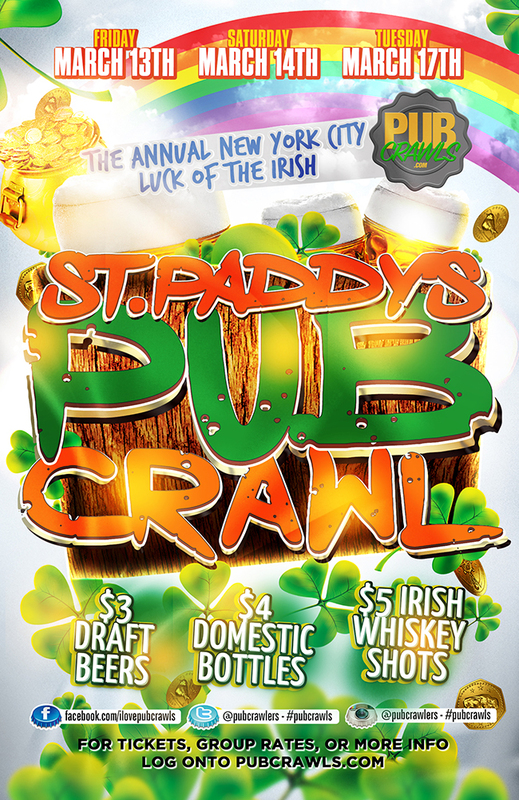 New York City is one of the top destinations in the country for all things St. Patrick’s Day, but this year it’s only going to be even bigger as the producers of the world’s largest PubCrawls put together yet another colossal event in the Big Apple – the official St. Patrick’s Day New York City Pub Crawl! After they managed to get together over 5,000 guests for a Halloween pub crawl that’s still being talked about, the sky’s the limit for this year’s official St. Patrick’s Day PubCrawl! There’s no denying that New York City has one of the absolute best bar scenes in the country, and on a day like this, with an event like this, it’s the best way to find out what it’s all about.